i-MBA > Get CruiseInn and Claim a Scholarship for the FT i-MBA program! Get CruiseInn and Claim a Scholarship for the FT i-MBA program! CruiseInn is sailing this June, 23-29, for a third year in a row and is ready to offer a unique entrepreneurial experience. This year, i-MBA offers a full scholarship for its Full-Time program to one participant! 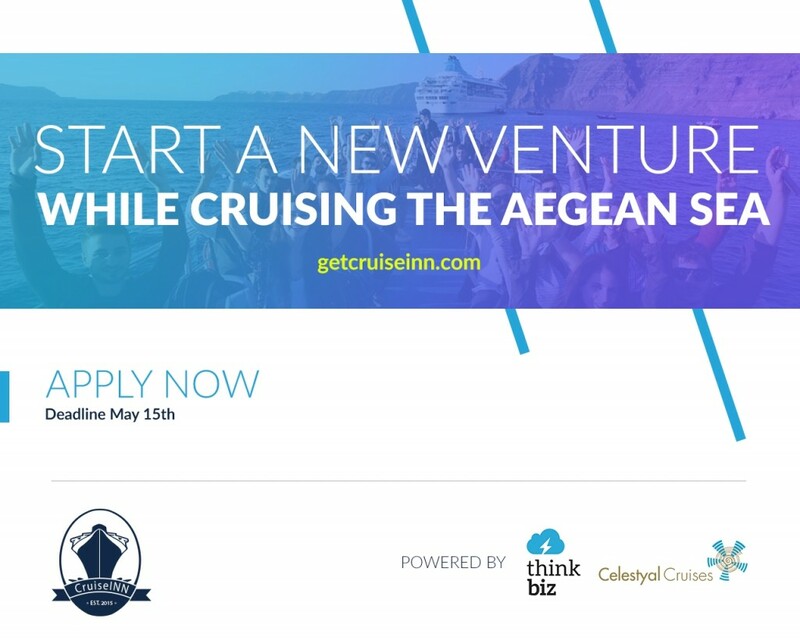 ThinkBiz and Celestyal Cruises are inviting students, recent graduates and young professionals of up to 30 years old to join CruiseInn and create a new startup in Tourism, Oenogastronomy and Maritime. 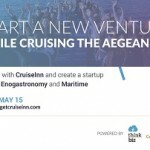 CruiseInn is the first startup hackathon in Greece taking place aboard an actual cruise ship. In total, 35 participants will have the chance to put their startup ideas or programming, designing, and business skills to the test in order to prototype innovative business ideas. During the cruise, teams will be offered rigorous hands-on training on basic business and marketing concepts, and they will be guided by experienced mentors in refining their ideas. In 7 days they will be asked to develop an MVP of their product and present it in front of a jury of experts. The three winning ideas will receive business prizes from CruiseInn partners, while the prize for the first place is a 3,500 euros cash award from Celestyal Cruises. If you think that working on a business idea while sailing to Santorini, Chania, Rhodes, Mykono, Cesme and Smyrna, is your ideal way of spending your summer break, go on and apply to join CruiseInn at http://bit.ly/SailWithiMBA. As for the scholarship prize, all 35 participants can submit their application to attend the Innovation & Entrepreneurship major of the i-MBA Full-time program for the academic year 2017-2018. The scholarship will cover all i-MBA tuition fees (equal to 12,000€). Attending the “Innovation and Entrepreneurship” Major of the i- MBA Full-time program, recipients of the scholarships will acquire the technical, business and personality skills and knowledge necessary for a successful business venture. In the context of their Immersion Project, after completion of all the courses, they will also have the opportunity to work 100% of their time on their new venture. Applicants should follow the formal procedure for admission to the program and submit their application form along with the respective documents to the program’s secretariat (47A Evelpidon Str. & 33, Lefkados Str., GR 11362, Athens, Greece, room 805), by June 9th, 2017, with the label “CruiseInn 2017 Scholarship”. Want 7 days to build your own startup, a unique cruise around the Aegean Sea and a chance to the scholarship prize?